Holly Rankin wears many hats. Musician, songwriter, festival curator/director & successful business woman. Under the moniker Jack River, Rankin has released one of the year’s most inspiring pop records - Sugar Mountain. Out on 22 June this year & debuting at #11, it is an ode to an imagined youth that Rankin was never able to realise. Following a family tragedy, Rankin’s world was turned upside and songwriting became her survival tool. Sugar Mountain was self-written, composed and co-produced alongside Xavier Dunn and John Castle, and mixed by Spike Stent. The perfect balance of glitter and grit, Sugar Mountain is full of pop highs and gritty guitar riffs. 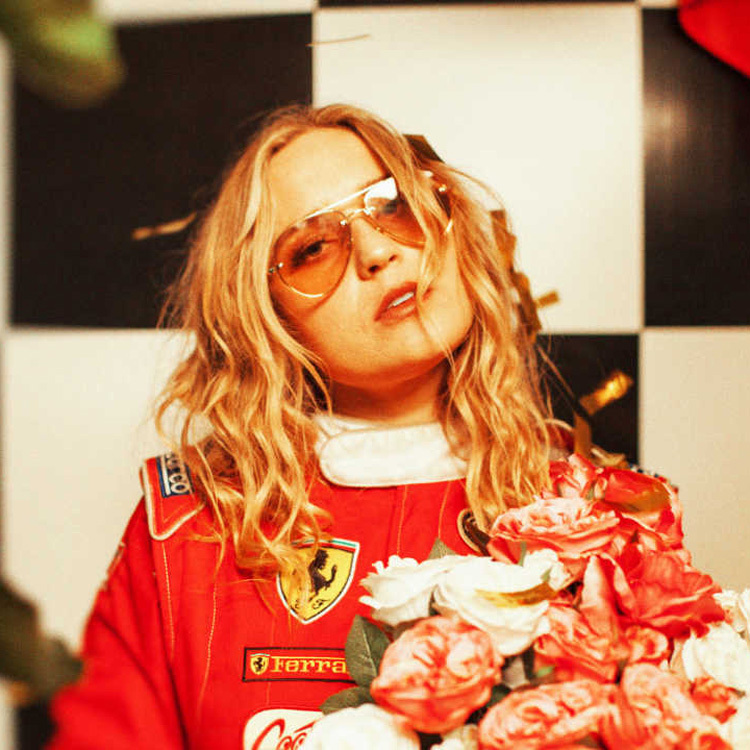 Featuring hit singles ‘Fool’s Gold’, ‘Fault Line’, ‘Ballroom’ & ‘Limo Song’, Sugar Mountain follows Jack River’s debut foray into the music stratosphere, her EP Highway Songs No.2. Jack River has toured throughout Aus playing to sold out crowds on headline shows & debuted her live show in the UK this year. Rankin is also the mastermind behind Grow Your Own Festival in her hometown of Forster which celebrates music, art, food and agriculture of the region, and the Electric Lady movement – a platform to amplify the strength of women in music, politics, science, sport and beyond. Electric Lady includes an online platform for inspiration, a successful headline concert series & curated stage series which boasts Beyond The Valley and the Gold Coast Commonwealth Games Festival.